Klaus lies in his coffin, as Rebekah and Elijah stand over him. The crescent moon pack is loading Aidan's body into a truck. Josh arrives home to find a note from Aidan asking him to call. Davina works on a spell trying to resurrect Kol. Freya is lost in thought, as Dahlia continues to work on a spell. Klaus wakes to find himself inside Dahlia's head. When Klaus checks his chest, he finds that there is no dagger. Klaus moves to attack, as he asks about Hope but Dahlia moves out of the way. Dahlia tells Klaus that since Elijah daggered him, he has no choice but to listen to her proposition. Dahlia takes Klaus back into her memories. Dahlia and Esther are young women when the Vikings attack. The two young women hide with Dahlia promising to protect them. Dahlia and Esther promise to remain together no matter what happens. A viking grabs Esther and Dahlia uses her magic to free Esther but the vikings attack again and this time, the two sisters are taken. Klaus snarks about vikings slaughtering their entire village. Dahlia tells Klaus that the two of them can be allies. Freya is ranting after Elijah has told her that Hope is gone. Freya is adamant that there is no way to end Dahlia without Hope. Freya wants to lure Dahlia to a killing ground and Elijah is not at all pleased that Freya is suggesting using Hope as bait now that Klaus has been removed. Freya demands that Elijah make the right decision for Hope and Elijah points out that if Dahlia does die, then Freya will also be free. Freya makes it clear that if Hayley does not return with Hope, then she will find them herself. Marcel has brought Rebekah to the club to sit out the coming fight. Rebekah is adamant that Elijah needs her but Marcel point out that Elijah cannot keep her and Hope safe. 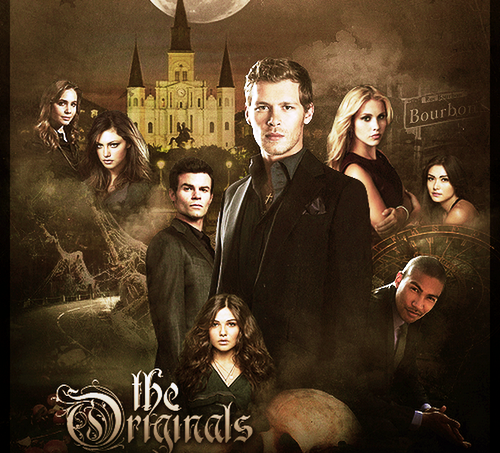 When Rebekah is still resistant, Marcel is forced to point out that she is linked to a group of teenage witches. Rebekah does not want to live like a porcelain doll but says that she has no way to undo the spell. One of Marcel's vampire henchman brings Vincent in. Rebekah demands to be unlinked from the witches and Vincent says that he can do it but it is going to take some time. Vincent however makes it clear that Rebekah will be doing her own magic because he is through with magic. Vincent declares that when he is done with this, he is done with all of it because he refuses to be their witch for hire. Elijah goes to see Cami in response to her numerous calls and she explains that Klaus didn't kill Aidan and why Klaus took the blame. This revelation however does not inspire Elijah to remove Klaus's dagger because he believes that were he to do so, all of the people who are helping to keep Hope safe would stop doing so. Cami however objects, saying that Elijah cannot leave Klaus daggered while Hope is in danger. Elijah believes that Cami is only saying this because of her feelings for Klaus. Cami questions how long Klaus will be daggered and Elijah makes it clear that he intends to keep Klaus like that until Hope is safe. Jackson is preparing to bury Aidan when Hayley approaches to say that Elijah called to warn them that Freya is working on a locator spell to find them. It is then Hayley notices the method of burial Jackson is preparing for Aidan. Hayley is not pleased because this is how the pack buries traitors. Hayley argues that Aidan was loyal to his pack in the end and that is why he was killed. Jackson says that they don't have a choice because they have to flee. Hayley however makes it clear that if they expect the wolves to die for Hope, then the wolves need to know that their lives matter. Hayley decides that Aidan is to be taken downriver to receive a true Crescent funeral. Rebekah waits impatiently as Vincent works on the spell, when Elijah and Cami arrive with dark objects. Elijah reveals that Klaus's mistrust of Freya was not wrong because Freya wants to use Hope as bait for Dahlia. Elijah however wants to create a decoy now that Hope is cloaked. Vincent stands to leave, saying that he only agreed to help break Rebekah's spell, only to be stopped by Elijah. Cami intervenes on Vincent's behalf, offering to call Davina. Josh is packing up his things when he gets a visit from Marcel, who questions if Josh really wants to pack up and leave. Josh points out that he cannot call his homophobic family and cannot get revenge on Klaus, who is already daggered. Josh adds that even if he could, going after Klaus would be a suicide mission. Josh questions if Marcel is here because he is needed to patrol the city and Marcel responds that he is not here to tell Josh what to do but is in fact there for him. Josh reveals his plans to leave town with Aidan and how he didn't get to say goodbye. Klaus is still lying in his coffin. Inside Dahlia's head, she has taken him to the hovel where she lived during her viking captivity. Dahlia was forced to perform dark magic so that Esther would be free of viking abuse. Klaus is not at all impressed, saying that no old suffering will justify Dahlia's desire to enslave Hope. Esther enters the hovel and Dahlia reveals that she has a plan for them to escape and live forever. It seems however that Esther has different plans now that she is going to marry Michael. Esther wants to get married and have a family but Dahlia argues that she is Ether's family. Esther tells Dahlia that they will always be sisters but she wants children of her own and loves Michael. Dahlia begs Esther to sing their songs but Esther is adamant that she doesn't remember them anymore and storms out, leaving a crying Dahlia on the floor. Cami and Rebekah have brought the magical objects to Davina. Rebekah discovers the dead birds that Davina is using to attempt a resurrection spell for Kol. Rebekah grabs a golem and talks about Kol's idea to use representational magic. Davina suggests that they replicate Hope's magic and transfer it into a doll to act as a decoy. The wolves continue to move through the woods carrying Aidan. Jackson talks about walking through the woods when he was cursed in his wolf form. Jackson talks about how only stepping up to protect the other wolves made him calm. When Hope starts to cry, Jackson tells Hayley where the hideout is and leaves with a few wolves to establish a perimeter. Klaus is not impressed that Esther was cruel to Dahlia. Dahlia says that she is not the villain of the story as her shadow self destroys the hovel. Klaus tells Dahlia to undagger him and state her deal but Dahlia is not finished showing Klaus images of the past. Dahlia warns that what she still has to show Klaus is not about Esther but about Hope, who will need to be saved. Esther tells Klaus that she didn't enslave Freya but kept her from those who abused their craft and demonized them. This time, Dahlia takes Klaus to see herself with Freya, who she claims she shielded from herself. Freya is freaking out because she cannot interact with others. Freya starts to flip out and quickly loses control of her magic. Dahlia is forced to help Freya focus, as she begins to bleed through her nose. Dahlia explains that first born witches in their bloodline contain devastating power. Klaus questions if Hope will also be so out of control and Dahlia explains that because Hope will be tainted with Klaus's vampire blood and the aggressive werewolf blood, Hope's suffering will be much worse. Dahlia adds that without her tutelage, Hope's power will become unchecked and devastate New Orleans and beyond. Dahlia explains that as a first born, she was the only one who was able to help Freya and will be the only one to help save Hope. Elijah and Marcel are standing over Klaus's coffin and Elijah explains that Klaus didn't kill Aidan and it could have been anyone who wanted to turn Elijah against his brother. Marcel questions if Elijah plans on freeing Klaus, given that he is an expert at taking out witches. Elijah however is still determined to keep Klaus out of the fight. Marcel rightly points out that with Klaus out of commission, Elijah is going to have to think like him. Cami is bringing coffee to the Mikaelsons and Vincent intercepts her to deliver a spell which will unlink Rebekah from the teenage witches. Cami questions why Vincent won't do the spell but Vincent explains that magic is the equivalent of a loaded weapon regardless of what Cami, Elijah or the covens want. Vincent then reveals that with Josephine dead, the covens want Vincent to become the new regent but he is determined to stay out. Cami brings up the loss of her uncle and brother and explains that things are more complicated than Vincent is making it out to be. Cami argues that magic in the right hands can be a good thing but Vincent is not convinced and starts to walk away. Cami calls out that they have a golem but it's not working. Vincent says that no strong witch is going to be fooled by a doll and adds that what they need is a heartbeat. Marcel is on the phone with Hayley and tells her that Klaus didn't kill Aidan. Hayley then talks about the pack moral and how it's low. Marcel tells Hayley that she is a leader at war and must choose to either be a queen or their friend. Marcel advises that if she is going to let the wolves die for Hope, she has to find a way to live with that. Freya has completed her locator spell and Elijah enters the room. Elijah informs her where Michael's ashes are and sends Freya to collect them. Elijah tells her to prepare the spell and he will go and retrieve Hope. Dahlia tells Klaus that Hope will need her guidance just like Freya did. Klaus however believes he can find someone to teach Hope, so Dahlia asks if he will find a tutor while he has a dagger in his heart. Dahlia questions how long it will be before Elijah decides to release Klaus. Dahlia admits that without Hope's power she will again fall asleep but adds that Freya turned on her because she denied her the love of a parent. Dahlia's plan is for Klaus to raise Hope while she channels Hope's magic. Dahlia adds that with them by their side, no one will ever challenge him again. Klaus's other option is to lie in his coffin until Hope learns to call Jackson daddy. Elijah is making his way through the forest when an arrow comes sailing through the air. He catches it, only to have an axe thrown at him from the other side, which he also manages to catch. Elijah finds himself facing two armed wolves, only to have Jackson appear and attack. Elijah tells Jackson that he is here to see Hope but is informed that it's not going to happen and that it will be hard to make his way through the woods with his head messed up. Jackson moves to attack and Elijah tosses him to the ground pointing out that Jackson didn't do well against Klaus. Jackson responds that Elijah cannot kill him because Hayley will never forgive him. Before Elijah can respond, Hayley arrives on the scene. Elijah informs Hayley that he needs a sample of Hope's blood. Jackson is resistant but Elijah tells Hayley that they are family and he would never allow anything bad to happen to her or Hope. Dahlia tells Klaus to think of her offer but Klaus is concerned with what the catch will be to her offer. Dahlia says that Hayley will have to die because she will not willingly let Hope go. Klaus believes that if he kills Hayley, Hope will grow to hate him but Dahlia argues that Klaus can create whatever story he likes to explain Hayley's death. Dahlia argues that siding with her means that he will have made the right choice for Hope. Klaus then awakes in the coffin with the dagger still in his chest. Slowly he brings his hand to the dagger and pulls it out of his chest. Hayley approaches Jackson to tell him that the pack is ready for Aidan's funeral and are only waiting for the arrival of one more. Jackson talks about how he spent much of his youth at this location and how the pack trusts him to lead him. Jackson makes it clear that he cannot live under Klaus's roof and be the pack leader that the wolves deserve. Jackson gives Hayley an ultimatum, asking her to choose who she is going to call family and then excuses himself to give her time to think about what he has said. Jackson heads outside and stands over Aidan's body and Hayley quickly joins him, taking his hand. Hayley kisses Jackson and declares that she doesn't need time because Jackson and the pack are her family, promising to do right by them. Josh arrives and Hayley explains that it is she who told Josh where they were. Jackson gives the order for Josh to be allowed through and the two men shake hands. Freya is working on the spell to trap Dahlia when Elijah arrives. Elijah asks Freya to promise that if they use Hope as bait that Dahlia will not get close enough to harm the child. Freya promises, saying that Dahlia won't be able to hurt any child ever gain. Elijah attacks and injects Freya with Hope's blood, explaining that Dahlia will now be hunting her. Freya says that she is not Elijah's enemy and he simply says, "we'll see", and orders her to continue her preparations. Davina is back to working on Kol's resurrection spell when Vincent arrives, calling her spell brave. Vincent questions whether she can do a resurrection spell on her own and Davina points out that she didn't ask for help. Vincent asks Davina to become the leader of the coven instead of him but Davina says that she has walked away from her coven. Vincent argues that this will give her a direct connection from all nine of the covens including: voodoo, representational magic, dark magic and necromancy. Vincent says that Davina is going to need more than Kol's diamond to get him back. Josh is paying his respects to Aidan's body. Josh comments that he never thought about immortality and how forever seems like a really long time. Josh steps away from Aidan's body and hugs Hayley. Aidan's body is then pushed into the water and Jackson sets it on fire. The wolves gather and watch Aidan's body burn. Elijah and Rebekah listen to a message from Hayley in which she says that she and Hope cannot be part of the Mikaelson family anymore. Hayley argues that all of Hope's life her family has tried to destroy her and she will not allow that to be Hope's story. Hayley argues that even if they manage to save Hope from Dahlia, Hope will still be Klaus's daughter, therefore inheriting 1,000 years of Klaus's enemies. Unbeknown to Rebekah and Elijah, Klaus who is now awake is listening to Hayley's message. Hayley declares that she doesn't want Hope to have all the pain that comes with being a Mikaelson. Both Rebekah and Elijah agree that Hayley is right about this. Klaus leaves and finds Dahlia. He is still very weak from being daggered. Dahlia calls Klaus the smartest of his siblings and congratulates him for making the right decision. Klaus declares that he never cared for Hayley and points out that the rest of his family will stand against them in defense of Hayley. Dahlia says that they will have to go through the rest of the Mikaelson's and Klaus declares that his siblings have earned everything that is to come. Klaus warns that they need to hurry because Hayley is attempting to escape with Hope. Dahlia tells Klaus not to worry because Hayley won't get far tonight. Dahlia starts a thunderstorm and Hope starts to cry. I still don't understand why Elijah thinks that it's a good idea to keep Klaus daggered, particularly after he found out that Klaus didn't kill Aidan. He realised that Aidan's death was about ripping the family apart and instead of rectifying that, he played right into Dahlia's hands. It's enough to make think that Elijah has the sense of a turnip. Unfortunately, with Klaus's help it looks like Elijah's plan to use Freya as a decoy might not work. This means that it doesn't look likely that Freya will die. After killing off Aidan which btw I am still super pissed about, the least the writers could do is kill off Freya, so that we won't have to be subjected to the horrible acting of Riley Voelkel any longer. Speaking of Aidan, it's nice to see that at least he got a good send off and Josh got to say goodbye. I knew it was hopeless but I kept wishing that they would find a way to resurrect his character. Hey, if Dallas can do it with Bobby, The Originals could have done it with Aidan. Just look at how many times Michael has been brought back. You know damn well that the writers will find a way to bring Michael back again but somehow that's off the table for Aidan, who represented one half of the GLBT characters on The Originals. Speaking of resurrection, it seems we might well get Kol back. Yes, I'm bitter. At any rate, to do this Davina will have to become leader of the nine covens, as it seems that Vincent doesn't want the power. I understand Vincent's explanations but I cannot help but point out that there isn't a single character of colour with any real power in this show. Sure, Marcel has the vampires but as we have seen in the past --even with a full nest of vampires at his beck and call -- he is absolutely no match for Klaus. Making Davina the leader of the covens just gives us another white character with power. Yes, I know that Davina is a woman and it will at least boost the female representation given that Rebekah has been completely depowered. The problem is Davina's character irritates me and with her as coven leader, it means that there will be more storylines for her instead of the plot box where I would prefer her to be.